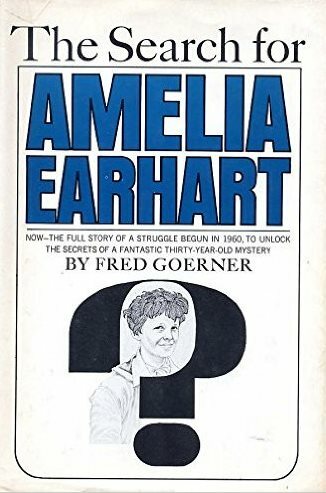 Fred Goerner was one of the earliest “boots on the ground” Earhart researchers, traveling everywhere from remote locations in the Pacific to the halls of government in Washington, DC. He was dogged and persistent in his search for information about Earhart and Noonan’s fate so long ago. There have been many books written about the two intrepid aviation pioneers, in those books there are a few pertinent clues in some of those books scattered throughout their pages. I love a good mystery and enjoy doing what I call literary jigsaw puzzles. The truth is there for anyone with enough of an abstract mind to sort the clues into a cohesive timeline. Amelia died long ago, before October 1937 on Saipan at the hands of a Japanese Naval pilot and his cohorts, for reasons that have nothing to do with her possible spying. The means of execution or murder, as I allege, were so heinous as to require a cover up by both the Japanese and American governments that continues to this day. As Henry Morganthau Jr said in a phone call during May 1938, ” What that woman – happened to her the last few minutes. Well, still, if she wants it- I’ll tell her what happened. It’s not a very nice story and We have evidence that the thing is all over, sure. Terrible. It would be awful to make it public.” ,are all in reference to her demise and nothing else. Time to stir the pot a little.